Produced in conjunction with the World Land Trust (WLT), whose patron is Sir David Attenborough, our educational tours are designed to bring the subject of rainforests to life for primary school groups. So often something just seen in a book or on TV, this unique and engaging experience allows children the opportunity to not just learn about the environment and importance of its conservation but also see it – something so many of them will never actually get to do! We offer a Tour Only and Tour with Lunch Option and best of all each attendee is actively saving 80m2 of rainforest through our land purchase scheme with the WLT. Tours are available to book every day, so it would be great if you could join us for one and together we can take another small step towards saving the planet whilst also teaching the next generation about the importance of conservation. 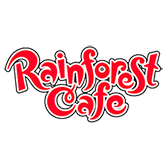 To find out more please email saleslon@therainforestcafe.co.uk or call our team on 02074343111.